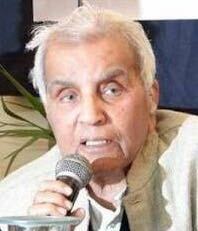 Our very dear Justice Rajinder Sachar is no more. Deeply saddened ... personal loss ... Nation's loss ... big jerk for benevolence. He was lighting spirit of goodness, truthfulness, philanthropy and plain speaking. There's lot to learn from his life. Super Genius Kid Tanmay Bakshi (studying in 8th, 13 year old) explaining IBM Watson and Artificial / Augmented intelligence machine learning. Watch this video.. his confidence, presence of mind and presentation is just amazing terrific.